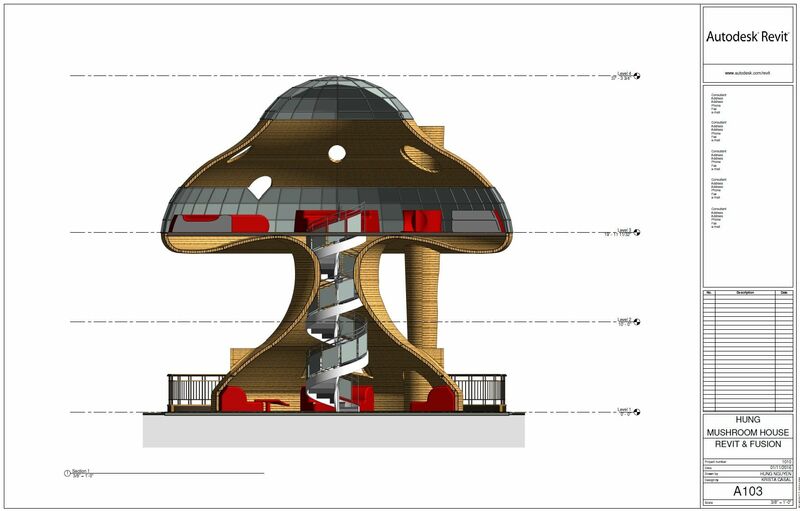 Inspired by Krista Casal's Livable Mushroom House. 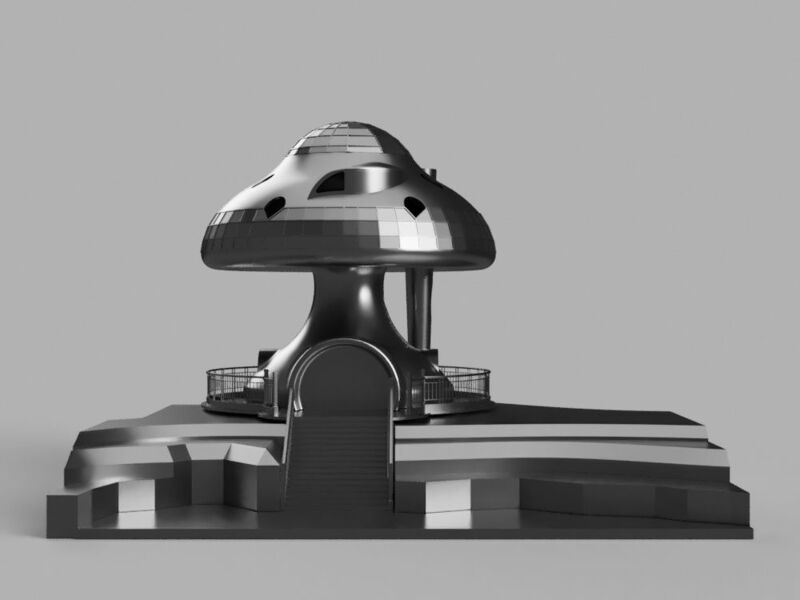 In her words: " Started to make a dome style home but the organic mushroom shape became more interesting to work with... Created to scale for human inhabitance - height around that of 3-story building. Built-in seating, spiral staircase, fireplaces on both floors, custom kitchen is on second along with other built-ins and custom bed. " 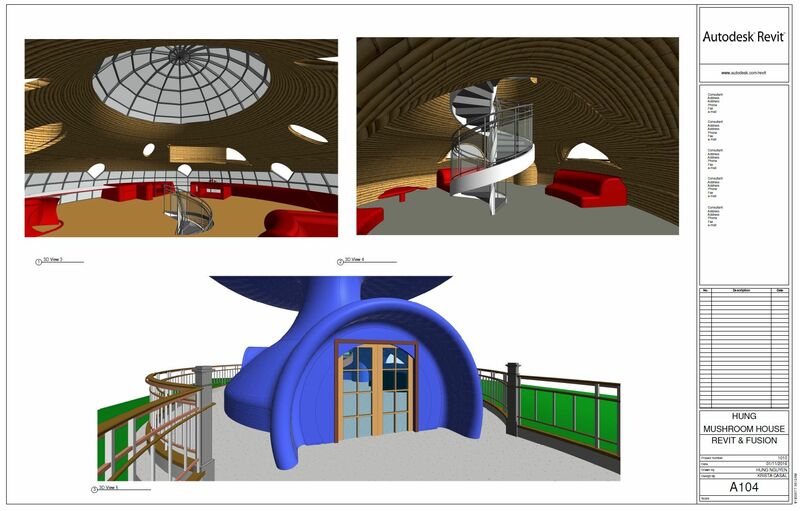 The Original project was done in SOLIDWORKS as a fun concept design. 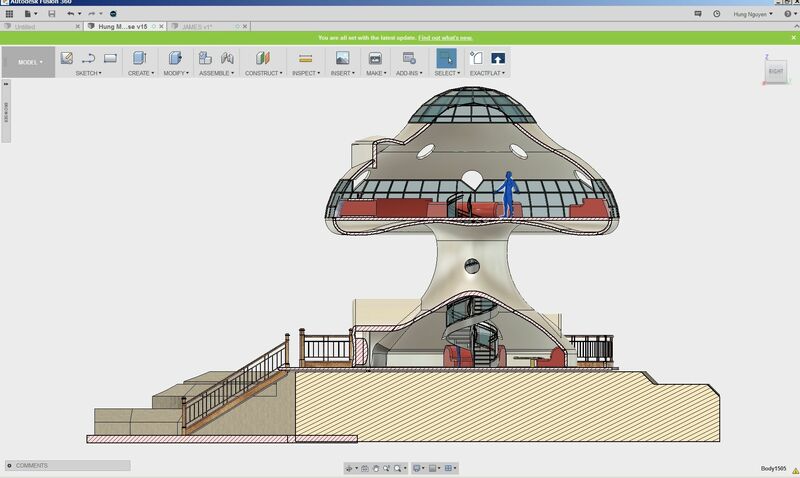 I took the project and remodeled it with Revit to show my students the basic of free-form design and modeling. 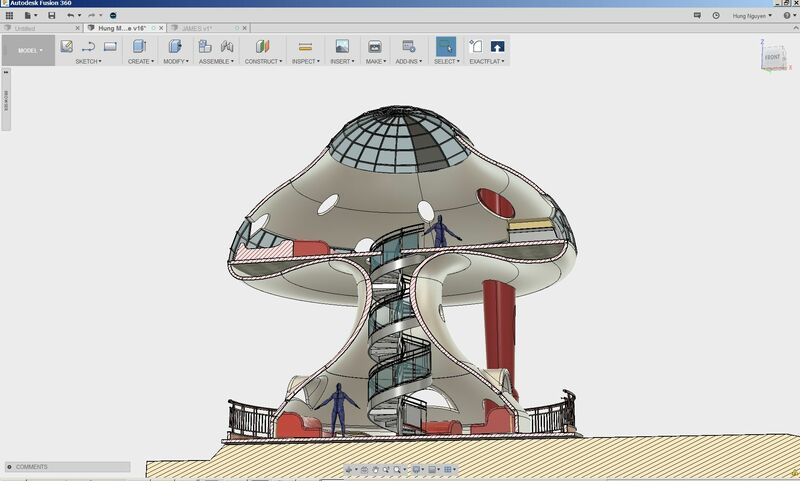 The Revit model came with complete doors, windows, curtain walls, spiral stair and multiple architecture features. 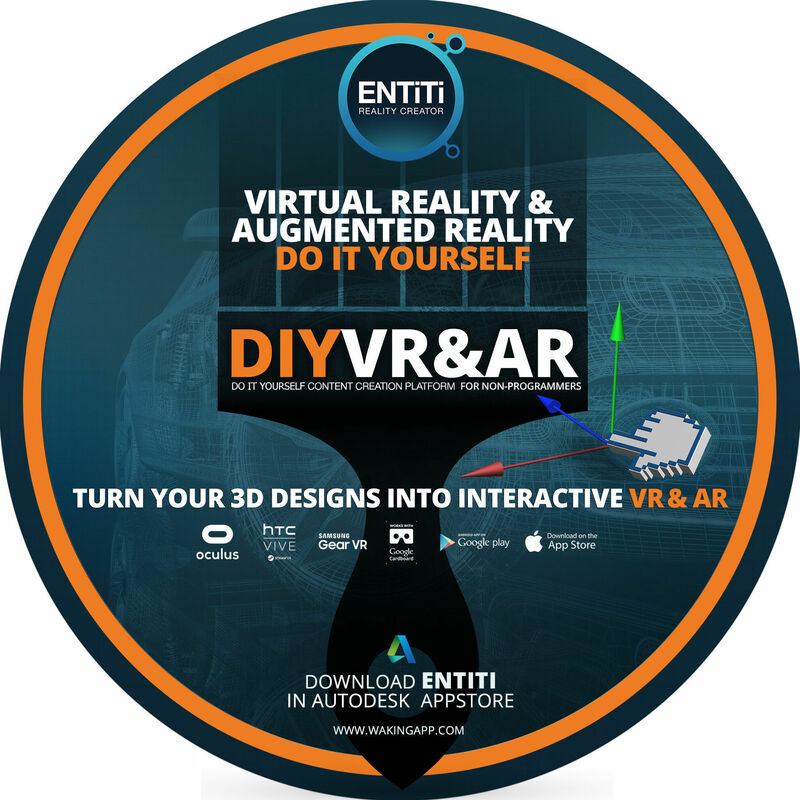 To show students that the Revit model can be further developed for manufacturing, I turned to Fusion 360 for it's powerful cloud-based 3D CAD, CAM, and CAE platform for product development. It combines industrial and mechanical design, simulation, collaboration, and machining in a single package. The tools in Fusion 360 enable fast and easy exploration of design ideas with an integrated concept-to-production toolset. 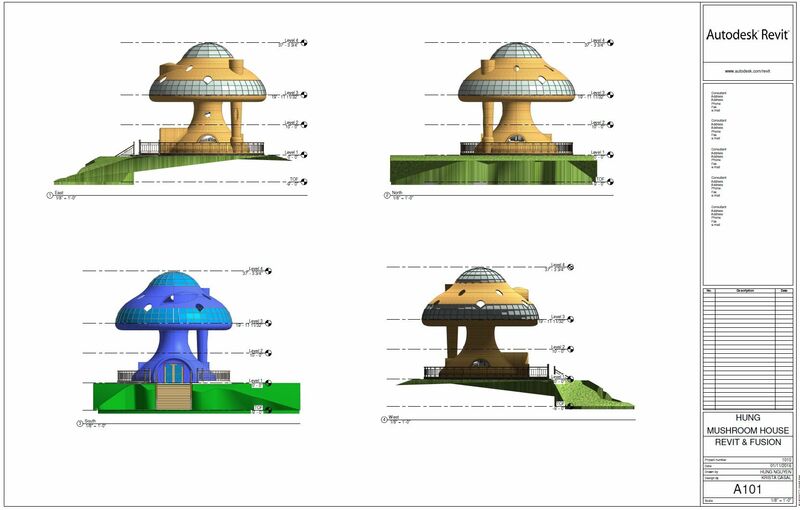 The mushroom house has turned into a modular concept design. 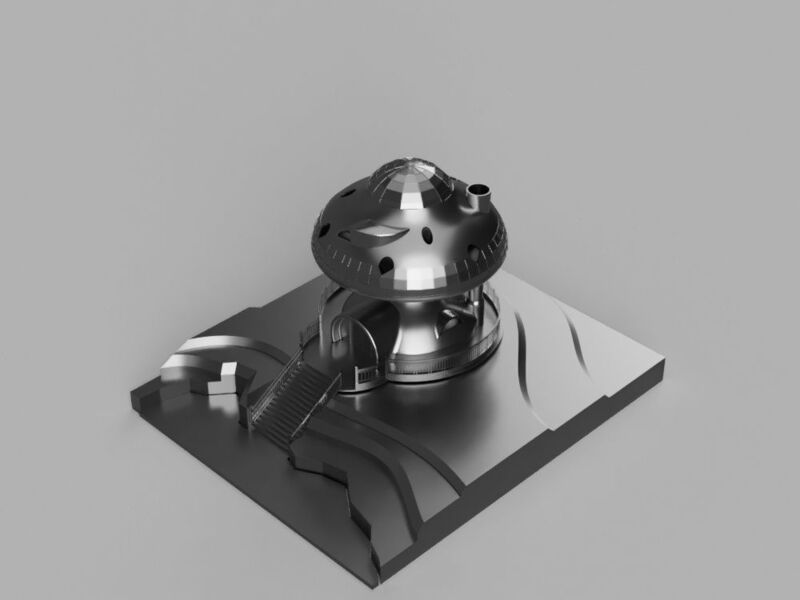 Using the fantastic Fusion Gallery 3D view, the model can be exploded into parts that can be manufactured by machining or 3D printing. 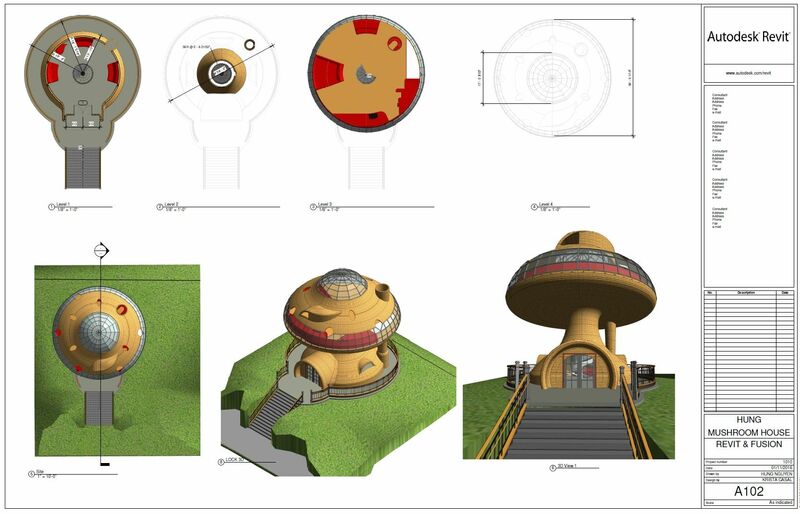 Hung Mushroom House will appear on your iPhone or Smart phone. Many thanks to Bieber Alexis on GrabCAD for "James-Human body for Scale"